Take Initiative to Get the Job Done! or just a great place to work…. FiveStar is the place to be! Click the link above to browse openings in your area. Now Offering a total of $2000 for NEW Fuel Transport HIRES! Make up to $70,000 a year and be home daily! Position Requires a Class A CDL with Hazmat and Tanker Endorsements. 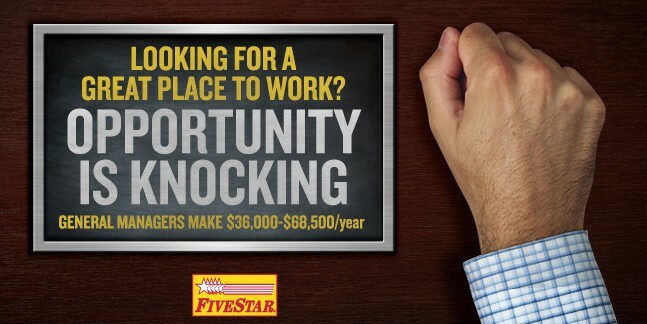 Having Problems Applying for a FiveStar or Newcomb Oil Co. position?